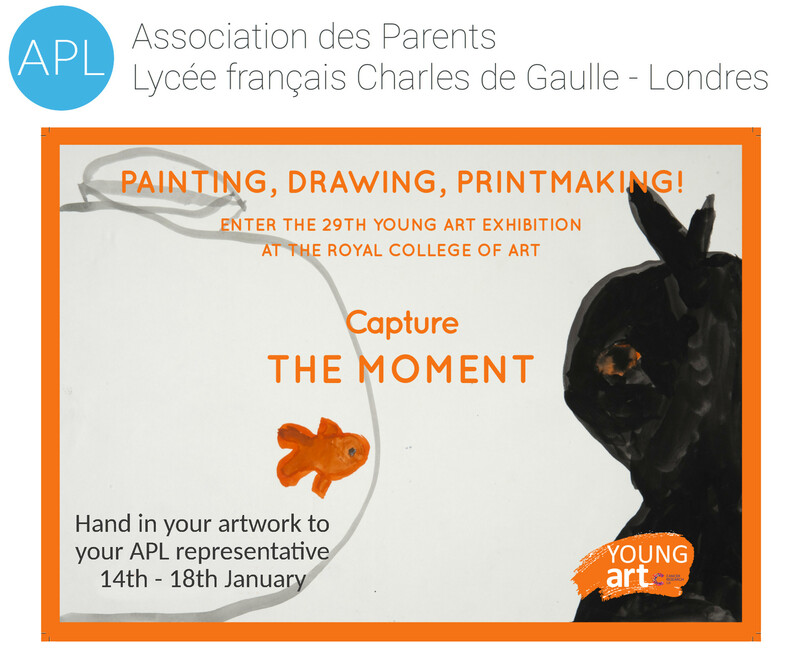 For several years, the APL has participated in the Art Competition: “Young Art at the Royal College in aid of Cancer Research UK”. This excellent competition is open to students from age 4 to 18. Numerous schools in London participate, allowing each to express his artistic talents while at the same time raising money for the research to fight cancer. Every year, a new theme is announced. Participants give their artwork with a financial participation at the APL’s office. The APL gathers the works and give them to the organisation with the collected money. The Competition’s Jury selects the winners who will have the privilege to have their work shown at the Royal College of Arts. You can find further details on the Young Art website. 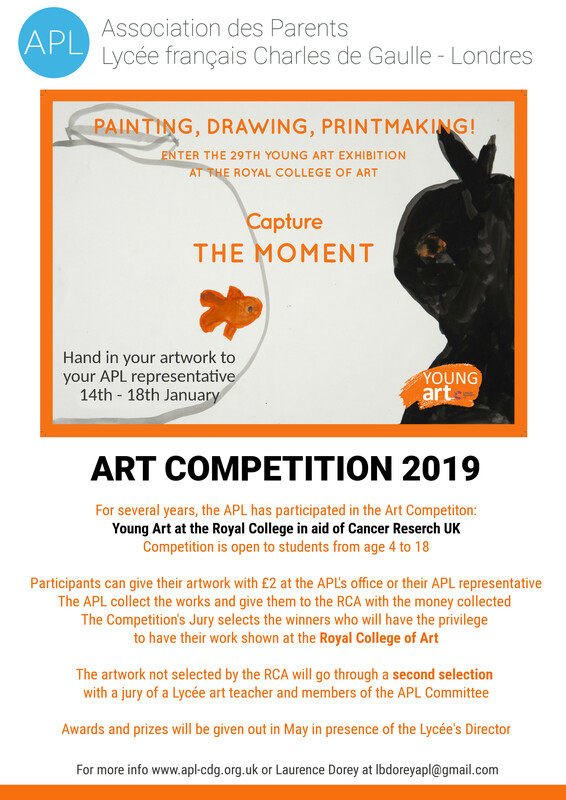 Following the show, those who were not lucky to be selected by the Royal College of Art will have their works go through a second selection, this time by the APL, with a jury composed of an art teacher and members of the APL Committee. Awards will be given out in May in presence of the Lycée’s Directors.